Price Range: $.10 - $.59 ea. 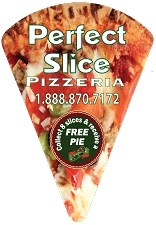 Our medium pizza slice is a great way to advertise your restaurant. It can be used in place of a business card or even as a "Collect 10 magnets and receive a free plain pie" coupon. Print your logo, contact information, specials, business hours, coupon or special....any information that you want to stick around. We can print your artwork or design something fresh and creative just for your project. 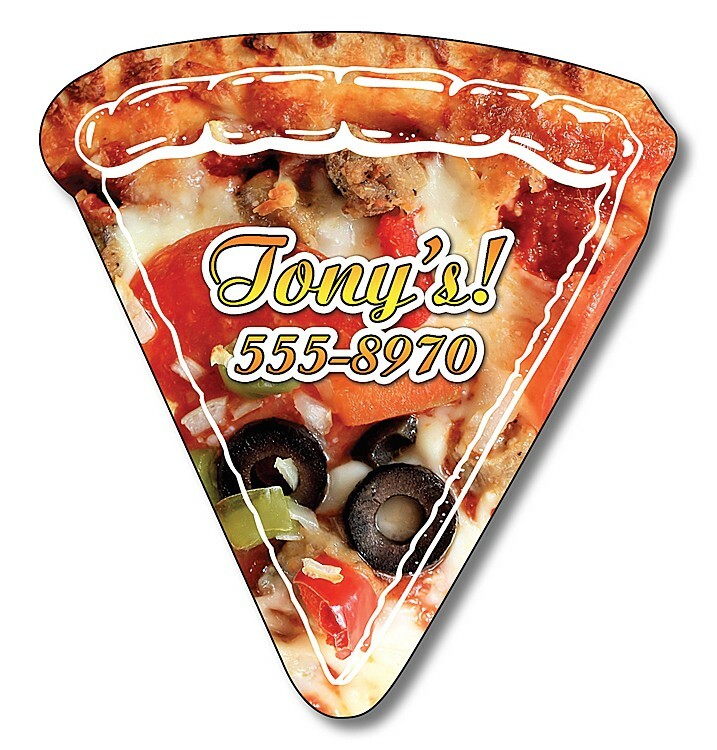 Our pizza slices are printed in striking full-color and are available in a variety of sizes and thicknesses. There is a magnet suited for every budget and project.